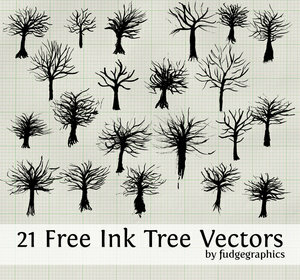 21 free vector ink trees. they were all hand drawn with india ink and a bamboo stick before being scanned and traced in illustrator. they come in a single eps file. enjoy.